A recently filed burn injury lawsuit is seeking $688,000 for a bartender who was severely burned after a candle ignited Everclear and started a fire on the bar countertop. According to the details of this complaint, the injured 30-year-old man (i.e., the plaintiff) is alleging that the bar owners were negligent in choosing to prominently display vases of flammable Everclear on the bar top right next to lit candles. This case, which was filed in the Multnomah County Circuit Court, specifically names the two owners of the Bluehour bar in the Northwest Pearl District (where the burn injuries occurred) as defendants. A recently filed burn injury lawsuit is seeking $688,000 for a bartender who was severely burned after a candle ignited Everclear and started a fire on the bar countertop. As court documents for this case explain, the plaintiff was working at Bluehour bar in April 2013 when he accidentally cracked one of two vases filled with purple-tinted Everclear. These vases were sitting on top of the bar near some lit candles. Everclear reportedly leaked out of the cracked vase, coming into contact with the open flame and immediately igniting the bar top – and the plaintiff. The plaintiff ended up being covered in ignited Everclear, causing him to reportedly suffer burn injuries over much of his body, including his torso, legs, arms and hands. Failed to heed the warnings about Everclear’s flammability (which are clearly printed on the bottles’ labels). $600,000 for the pain, irreversible injuries and disfigurement, and permanent impacts to his quality of life due to the severe burns he is now living with. 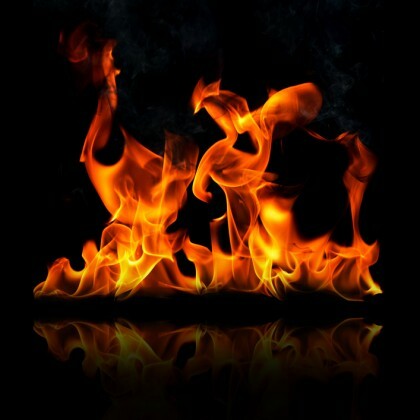 Have you been burned or suffered any injury due to another person’s negligence? If so, it’s time to contact the trusted Portland burn and personal injury attorneys at the Savage Law Firm. Since 1977, our skilled lawyers have been committed to providing each of our clients with personal attention, respect and the highest quality legal services. We realize how devastating a personal injury can be on a physical, as well as a psychological and financial, level, and our lawyers are here to aggressively defend injured people’s rights to both justice and compensation. This means that our attorneys and dedicated staff will always work diligently and relentlessly to ensure that our injured clients are able to obtain the compensation they deserve. Helping you recover from the financial setbacks caused by any personal injuries is one of our primary goals.